The original is still the best! 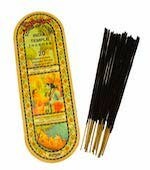 From the creators of the Original Nag Champa, Satya Sai Baba incense in India. 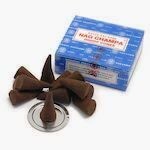 Superhit is another wonderful scent and smells just a bit sweeter than the Original Nag Champa. One smell and you'll be hooked, too! ANOTHER SIZE BOX IS AVAILABLE IN OUR STORE!